In 2010, Leicester City Council put forward a bid on its own behalf and that of Leicestershire County Council, for £2.2m of DfT funding to enable the introduction of smart ticketing for all concessionary bus users in the area. It envisaged a scheme that went beyond the English National Concession Travel Scheme (ENCTS), making use of all the technological capabilities available to achieve the aim of improving the availability of affordable commercial and multi-operator offers, and in addition to incorporate other services such as cycle parking, libraries and tourist destinations in the region. Many fruits of the investment are already in place. The summer of 2011 saw the introduction of the OneCard smart card scheme, in conjunction with Arriva, covering concessionary entitlement on its 200 plus bus fleet in the region. Since then, all concessionary bus pass entitlement on the City and County’s 500 plus bus fleet, operated by five different companies, has become fully OneCard based. Moving on, those involved in the project are seeking to identify what other benefits and opportunities can be derived from the use of smart technology and are working on a number of European funding bids to help develop both the products available and the level of interoperability between systems. 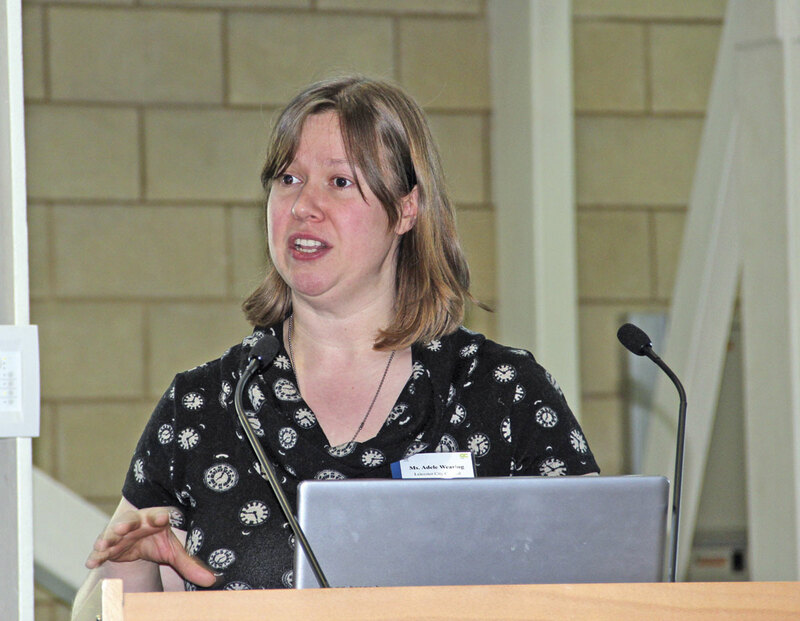 Last week Leicester City Council, with support from the University of Leicester, organised a launch event at the Holywell Business Park Conference Centre at the University of Loughborough for its ‘A Smarter Leicestershire: A City for the Future’ initiative. A paper entitled, ‘A Strategy Document for Smart and Integrated Ticketing’ had already been compiled by Leicester City Council’s Adele Wearing, Transport Development Officer and Alexandra Archibald, Research Associate. This was circulated prior to the event and in addition to providing the opportunity to hear speakers on the subject of smart technology and its applications, look at relevant trade stands and network with other interested parties, the authors encouraged feedback from delegates as they sought to hone the strategy document by means of a workshop session. The day’s business sessions were split into three sessions headed, Transport Innovation, Smart Card Technologies and Smart and Integrated Ticketing and were followed after the afternoon presentations by the workshop session. 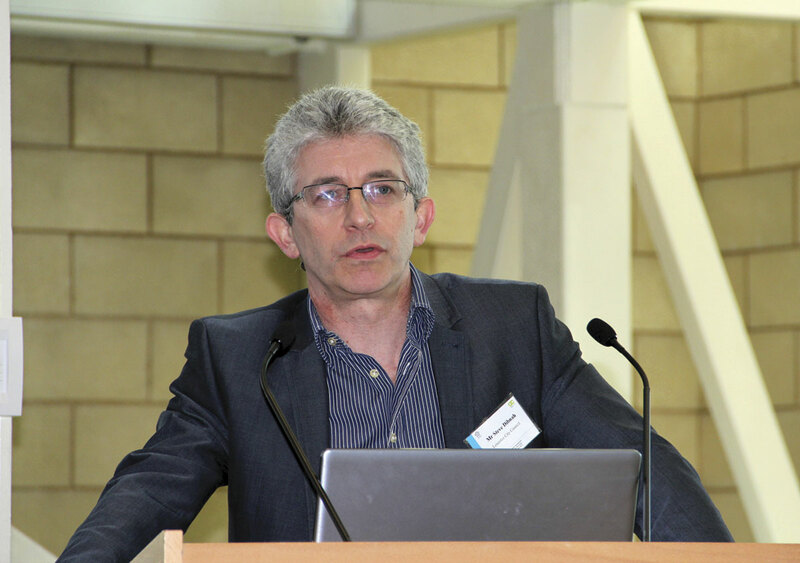 John Dowson, Team Leader Sustainable Transport at Leicester City Council, opened the conference, welcomed delegates and set the scene for the event before inviting the first speaker to take the microphone. 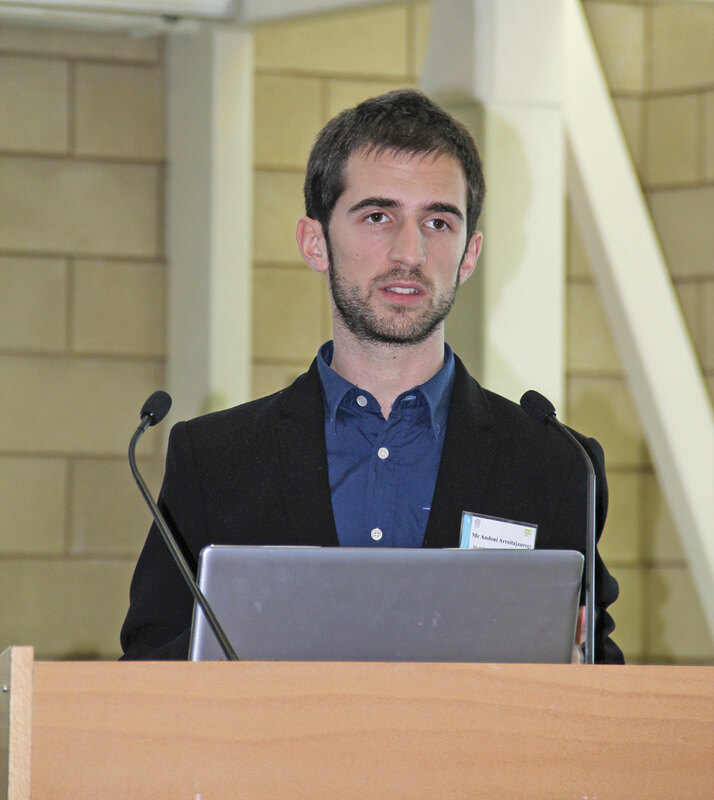 According to the organisation’s website, ‘A Catapult is a technology and innovation centre where the very best of the UK’s businesses, scientists and engineers can work side by side on research and development, transforming ideas into new products and services to generate economic growth’ In a presentation entitled ‘Towards Intelligent Mobility’, Alex Burrows explained that the Transport Systems catapult was one of seven separate catapults reporting to seven strategy boards. Its role was to support UK industry in exploiting the massive global market for new products and services that will drive the integration of transport and its systems. It saw the key challenge being how to increase mobility: the efficient and cost effective movement of people and goods. Putting this in context he said the world’s population would grow from 7.1billion today to around 9.7bn by 2050. Congestion costs in the UK would be £22bn by 2025, while carbon emissions were already costing £4bn per year. He said the reason the organisation was keen to be involved in developing the sector was that transportation in developed countries represented between 6-12% of GDP. The total global transportation market was between £2.5 and £4.7trillion and the value to the UK economy of transport logistics was currently £75bn. 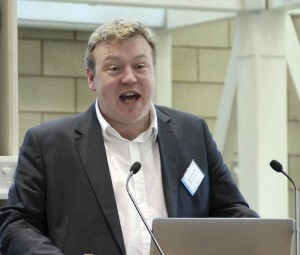 He predicted the annual global market for intelligent transport systems would be £900bn by 2025. The role of the Transport Catapult was to develop a transitional infrastructure between investment in research excellence at UK universities and the target areas of UK industrial potential. Saying that ‘Mobility is about the end user perspective,’ he saw ten key challenges which were: Improving the traveller experience at transport modal interchanges; Minimising the impact of disruption through use of adjacent transport networks; Incentivising the provision of a seamless journey through modal interchanges; Providing personalised, contextualised, trusted, information that improves the traveller experience; Developing insight from transport system information to improve the performance of the network; Offering end to end mobility as a service; Integrating quality of life and city economy benefits into transport decisions; Enabling whole journey accessibility of transport systems; Taking a systems approach to investment and policy in transport infrastructure and; Delivering seamless freight. Catapult was building a 36,000sqft innovation centre in Milton Keynes that would open in June and offer a broad range of facilities. It would act as a catalyst for getting new ideas going. Among projects Catapult was already involved with were: LUTZ, a low carbon urban transport zone using autonomous pods to carry people; Sentiment mapping; Instant Weather – which would better utilise existing information for transport applications and; Departure Planning Information for aviation. He was seeking new projects requiring investment of up to £50,000 that could go forward immediately. Taking as his subject, ‘Ticketing – Smart and Integrated’ Mike said he was speaking on behalf of the Smart Cities and City Regions Partnership programme, which was backed by the DfT, CPT and PTEG, and aimed to try and uplevel the smart technology provision within the nine largest population areas of England outside London, including the six PTE areas and the associated areas of Leicester, Nottingham and the West of England Partnership. He claimed that one of the barriers to public transport use was lack of knowledge. One of the reasons that people did not get on buses was not because they did not know where they went but because they did not know where to get off. Integration of different modes and different operators brought with it complications. Customers wanted to buy a ticket to go from A to B but the journey might involve multiple operators. How did you unify all of that into one ticketing experience? The vision was that there would be a simple token, maybe a card or a phone, and you would tap it every time you got on a bus or a train. At the end of the journey all of that data would somehow be sucked into the clouds and you would be charged the best value fare. You could have a mobility account like an electric or phone account, paid monthly, giving you the best value over a period of time. It was all doable. Why was it taking so long? Because although the customer wanted a simple relationship the reality of operation was that there were a lot of organisations and stakeholders involved in providing the service, including the OFT which put limits on collaboration. A list of ten priorities had been set. It was slowly taking shape. There was a delivery plan being drawn together. The focus was on business outcomes rather than the technology. Hopefully, everything would come together so that by February 2016 you would at least have a fighting chance of going to one of the cities in the UK and get on a bus, maybe even on a train, using a smartcard. In the question and answer session Professor Eric Goodyear of Leicester’s De Montfort University said that over five years ago he had spent 18 months trying to get eight competing operators in the room to talk about multi operator smartcards. When he had done so there was no funding available from the DfT to take the project forward but it had been clear that the barriers to the introduction of smart ticketing were not technical but commercial. The questions were: How did you manage revenue sharing and how did you get people to swipe off buses at the end of a journey? Mike agreed that the barriers were not technical but economic and commercial. Strategic Accounts Director, Ecebs Ltd.
At the beginning of a presentation on ‘Smart Card Potential’ Mel established that the two main standalone uses for a smartcard were removing ice from car windscreens and (allegedly) removing bee stings without pain. Going beyond this, he saw the smartcard as an enabler. It was useful where information needed to be secure and where information needed to be mobile. It was going to be subject to growth, with predictions suggesting that 1.7billion cards will have been issued by 2018. He explained that Ecebs’ background was that it had spent 15 years developing the EMV system used by banks. It had been involved in the establishment of ITSO, had developed Payzone enabling a number of the PTEs to retail products, had developed the Smart system used by Strathclyde PTE for its underground system and also developed phone and tablets applications. He was not convinced by the use of mobile telephones in transport ticketing because there were so many people involved in the supply chain. This made it a commercial nightmare that would take ten years to resolve. There were safety issues because there were stations where you didn’t want to be advertising the fact that you had an expensive mobile phone in your possession. There was also a speed issue as mobile phones were too slow for gate based applications, though a possibility was to download from a mobile phone to a card. And how many ATMs interact with a telephone, he asked, making the point that it required an infrastructure change. ‘It will come, there’s no doubt about that, but it’s quite a way away yet,’ he commented. 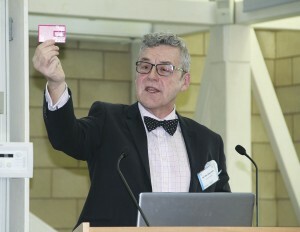 Multi applications possibilities had been around on smart cards for many years, he said, offering to deliver delegates a card with ITSO, EMV, contact and contactless payment on it that, if commercial organisations would allow it, could be used in any ATM, though from a commercial point of view this was a very long way off. A big issue was that of branding and support on a card with multiple applications. But if you had one organisation owning the card and running it these commercial problems went away, which in a local situation was very useful. In Leicester, the OneCard could be used for a whole list of services. 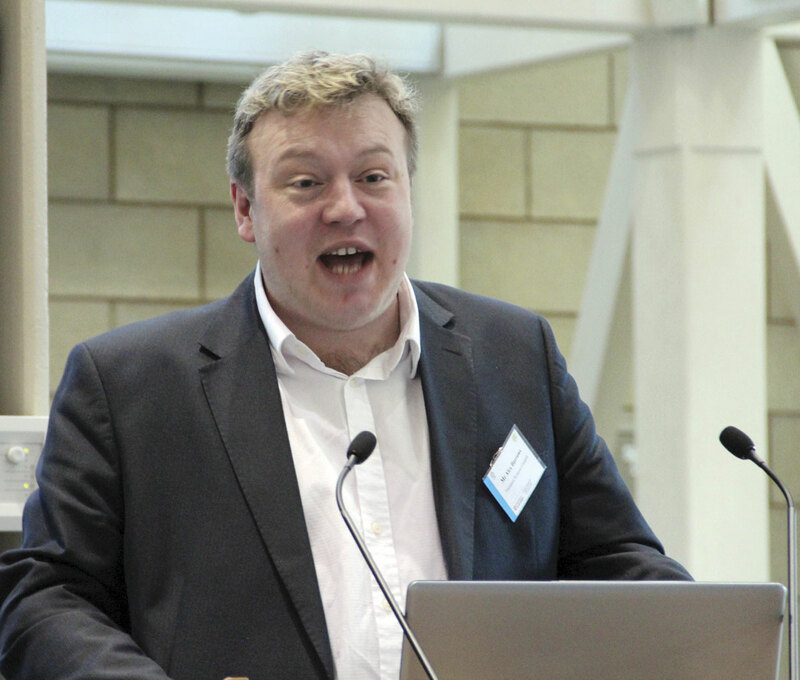 Speaking on ‘THE ISSUE – Experience across Europe’ Steve explained that the acronym stood for Traffic – Health – Environment, Intelligent Solutions Sustaining Urban Economies. It was a European framework seven programme involving four key regions: The East Midlands, Midi-Pyrenees, Aquitaine in France, Mazovia in Poland and Molise in Italy, along with eight associate regions including the Basque region of Spain. It sought to identify innovative technological solutions, through the application of ICT and Space Data Products and Services, to address key transport and urban mobility challenges impacting on the economy, environment and people’s health in cities and regions across Europe. Internationalisation, Mobility & Logistics Cluster ITS (Euskadi). ‘Smart ticketing – Basque Country: Current situation and future objectives’ was the subject of Andoni’s presentation in which he explained how there were currently three separate systems for the three Basque regions of Araba, Gipuzkoa and Bizkaia. The aim, using international best practice, was to introduce the Mugitu system, a single integrated system covering all three regions that will include bus, train, underground, bike sharing and electric car. Speaking on the key topic of ‘Smart and Integrated Ticketing in Leicestershire’ John began by describing how although the £2.2m DfT funding had been awarded for modernising and improving transport, there was also a realisation at the time that there was a lot of fraud on the concessionary network. His organisation had made sure that they had a product in place that was usable across Leicester and Leicestershire, and one that was able to take on board aspects of transport planning. He said smart ticketing could help to reduce boarding times and the gathering of the information could help to create a much more comprehensive knowledge base around where passengers were going, what they wanted and also help with real time route planning in the future which was something that Leicester was planning for. 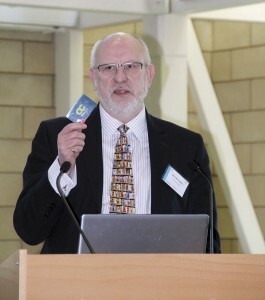 He said research in 2013 revealed that, ‘alarmingly, 52% of people would pay 10% more for their journeys if they had a smartcard.’ Research also suggested that the introduction of smartcards would lead to between 5-20% extra passengers being available to public transport. Taking over the presentation, Adele Wearing said that the authority had supported operators in Leicester and Leicestershire in going to electronic ticket machines, rather than going out and buying machines and issuing them itself, and all 500 buses in the county now accepted concessionary cards as smart cards. The use of concessionary cards had been in place for 18 months, the last operator having gone live recently. Smart cards using the LASSIO system were also accepted at bike park in Leicester and though there had been some challenges this was now running smoothly. The next step forward, which would happen ‘soonish’ would be Arriva starting to offer commercial 28-day passes on its buses in smartcard form using the existing OneCard. Work on the final technical issues behind that was being completed including hotlisting and some commercial issues. The long term vision came in four parts: European travel; local transport integration, where different modes could be handled on one card; local authority services, where there was no need to have separate leisure and library cards; and other opportunities including tourism and staff identity cards which could be OneCards. Could retail discounts be offered according to how you travel? She stressed, ‘the whole thing for us with the OneCard is that it should be about accessibility, to services and to transport’. Following the presentations, a strategy review workshop was held in which delegates split into groups and each spent 45 minutes addressing one of four topics – European Transport; Authority Services; Business, Leisure & Tourism; and Local Transport Integration. The groups were charged with coming up with a presentation that answered four questions: What do you want to see delivered? How could it work? What are the costs and the timetable? and finally, What support can you offer? Discussion around the tables was fervent, with notably more enthusiasm for some topics than others, European Transport being the one that people seemed keenest to avoid. There was time for most of the groups to present their findings. The many points raised at the event will be reviewed and those that take the vision forward assimilated in the Strategy Document. Alongside the conference, there were a number of trade stands promoting related products. These included: GIS, Parkeon, The Hub, Future Fresh, Ivy Link Partnership, IRSA, Idom, SmartCitizen/Bracknell Forest Council, and G-Step. Parkeon has just supplied Leicester operator, Roberts Coaches, with its Wayfarer 200 ticket machines which it uses on park and ride and stage carriage services. Installed during the week of the event, the system operates using Parkeon’s hosted back office system. This is popular with independent operators as it avoids the expense associated with having to provide the hosting system in-house. The company’s Alistair Davis told me that he was attending to talk to personalities in Leicester and gain an overview, though examples of some of the equipment were displayed. Based in Hammersmith, The Hub offers a self managed, device independent ticketing platform that is future proofed to issue smart tickets and take smart payments. Features include remote monitoring and management, centralised content management, a ticketing engine, payment merchant services, additional service provision, flexible software deployment via a licence or a hosted solution and what it describes as a cost effective reseller service. 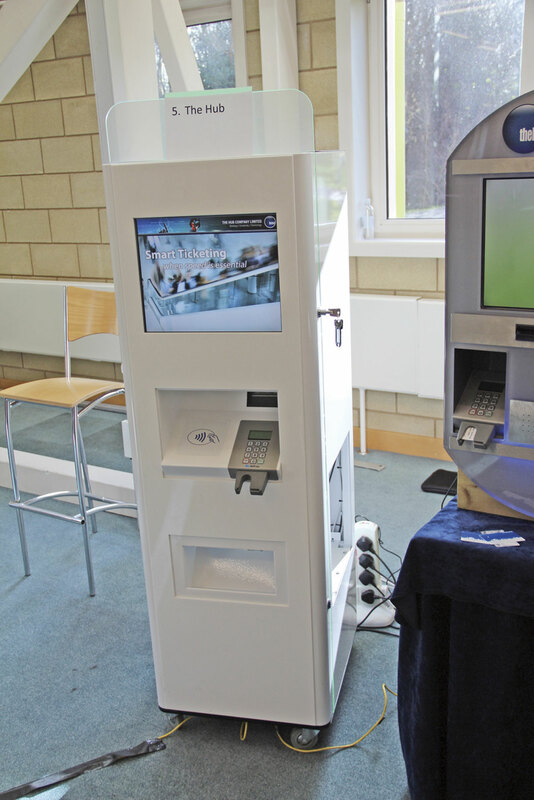 It supplies ticket vending machines (TVMs) in a variety of sizes depending on application. It has worked with National Express for many years supplying: a web based journey planning, ticket ordering and payment process; TVMs; and an option to show a ticket to a coach driver via hard copy, SMS text message or via a mobile phone. Working with ESPsystex within the Transform partnership, The Hub can provide smart open or closed loop ticketing services in card, mobile or any non card form, enabling all in one smart ticketing service provision. 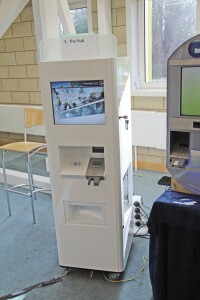 The most impressive unit shown was a Kiosk unit that will produce a smart card on the spot within 45 seconds. This was demonstrated to me and a nice warm card produced while I waited. 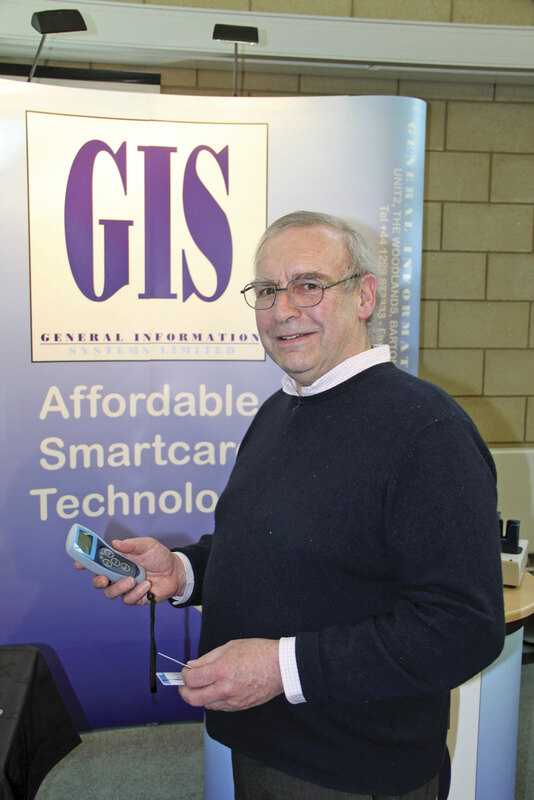 General Information Systems (GIS) Ltd offers affordable smartcard technology and is an ITSO specialist concentrating on the bus and rail markets, supplying hand held readers for inspectors. An interesting application promoted was The Care Card, which taps into the potential of the English National Concessionary Card. Working with Cambridge University Health Partners and Cambridge County Council they are involved in a project that utilises the unused content of the card to carry medical details and information such as allergies. It can also be used as a payment card for services and, as Christopher Curry of GIS explained to me, also for reward points accrued by voluntary carers. He explained that another angle is that the problem of local authority carers who arrive late and leave early can be overcome as they can sign in and out on the card of the person they are caring for. 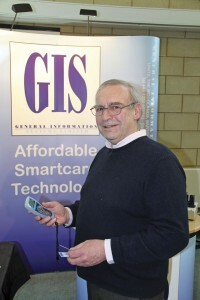 GIS are hoping Leicester will also try the scheme, with the eventual aim of establishing a National Care Card. Future Fresh is a design studio which specialises in data visualisation and has worked with a range of organisations in the environmental, logistics and social science industries. It actively recruits graduates, helping them to accumulate experience. Idom is a Spanish based design, engineering and consulting company with a £250m annual turnover, 2,500 staff, 34 offices worldwide and projects in 120 countries. It has been involved in most of Spain’s interoperable fare management systems as well as international projects such as the Touch and Go smartcard used by over three million people daily on the Cairo Metro. IRSA, short for Innovation through the Research Support Accelerator, aims to help accelerate the development and exploitation of new products, services, technologies, processes and markets for small and medium enterprises in the East Midlands through supported collaboration on research and development within the University of Leicester. A number of operators were represented at a senior level at the event, among them Arriva, Centrebus and First. Simon Mathieson joined Arriva Midlands as Area Director East in October last year, taking responsibility for the two Leicester depots as well as Derby, Burton and Hinckley. Arriva works closely with Leicester City Council and Leicestershire County Council and Simon told me the City and county work well together. ‘Arriva is also working with Derby on a smartcard scheme and I know they and Leicester have looked at how they can work together to share the cost. We have a facilitation role to play in that,’ he said. Speaking to Adele Wearing, who is also the City Council’s project delivery officer for Intelligent Transport Systems, she was clearly excited about what is being achieved and the potential to go further. She is realistic in saying that delivery will be a series of small steps forward that would need to be tested to exhaustion, but the vision is limitless. ‘I’d love to tie in real time journey information with smart cards so that people can get proactive journey planning. I want to make Leicester really, really smart for travel,’ she said.